Filled with humor and I can relate life experiences, Faithful, Fit and Fabulous is the ideal 8-week life boost that will refresh any woman’s life. Gospel principles from scriptures, priceless gems from general conference addresses, and more, are shared along with ways to readily apply them in your busy daily life. Establish holy habits, feel fit and fabulous, and get organized. Just one goal a week for eight weeks simple and fun. 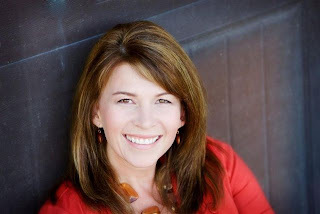 Connie Sokol is a mother of eight, a sought after local and national presenter, and a regular speaker at Education Week. She is a monthly TV contributor on KSL’s “Studio 5” and regular blogger for KSL’s “Motherhood Matters.” She is a former columnist for Deseret News and Utah Valley Magazine, and TV and radio host for Bonneville Communications. Mrs. Sokol is the author of several books including the award-nominated Caribbean Crossroads, Faithful, Fit & Fabulous, and Life is Too Short for One Hair Color Series, as well as the creator of talk CDs, podcasts and the “8-week Challenge.” Mrs. Sokol marinates in time spent with her family and eating decadent treats.